Like a slightly more polished, marginally better written version of one of Troma’s monster hero films like THE TOXIC AVENGER or SGT. KABUKIMAN, NYPD, WOLFCOP is stupid, violent, fun. 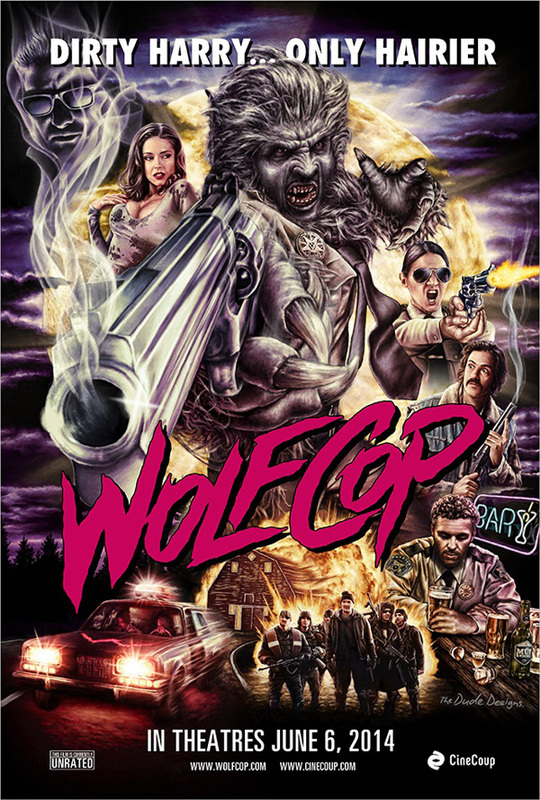 An alcoholic cop named Lou Garou (Leo Fafard) gets turned into a werewolf by a cult of shape-shifting lizard people who stand to gain power by ritually sacrificing him. But Lou, who everyone in town generally assumed to be a really terrible cop, throws a wrench into those plans by mounting a competent investigation that just might lead him to the truth before the date of the big ritual arrives. Aside from his police skills, Lou’s new werewolf powers come in mighty handing in fighting the bad guys, too. While clearly a low budget film with no aspirations to anything more than lowbrow entertainment, WOLFCOP is nonetheless a well made film of its kind with a cast of likeable performers. Fafard, whose IMDB credits are mostly in various crew positions like generator operator and dolly grip, proves especially likeable in front of the camera eve when his character is at his worst. Writer/director Lowell Dean doesn’t do anything flashy here, but this is solid meat and potatoes filmmaking with a clever script (yes, stupid can be clever). 3 out of 4 stars.